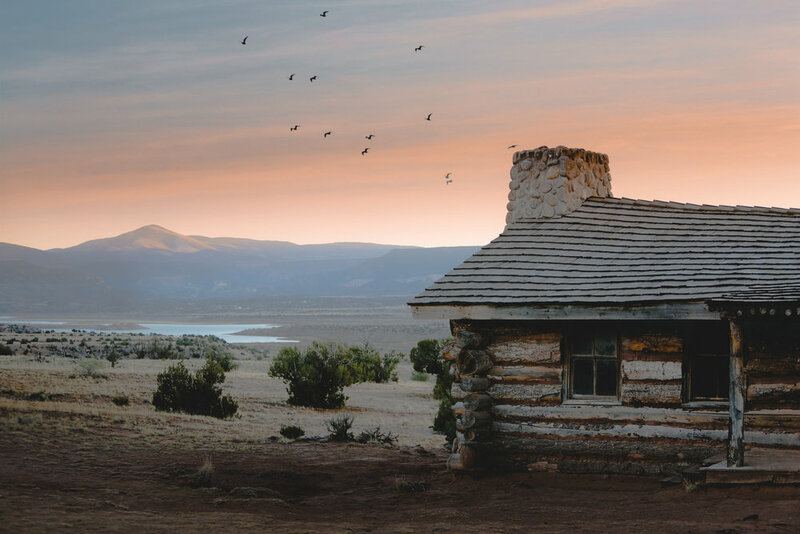 Every sunrise and sunset that I missed on our trip to New Mexico felt like a tragedy. As an artist, I know the value of good light. It literally hurts my soul when I travel to a beautiful land and can’t sit and watch that magical golden hour. I comically explain this concept to my husband, who as a musician understands only slightly. He’ll indulge me when I wake him up at 4 in the morning to drag him out on the road in Iceland or will put up with driving late at night to come back from a sunset scout. 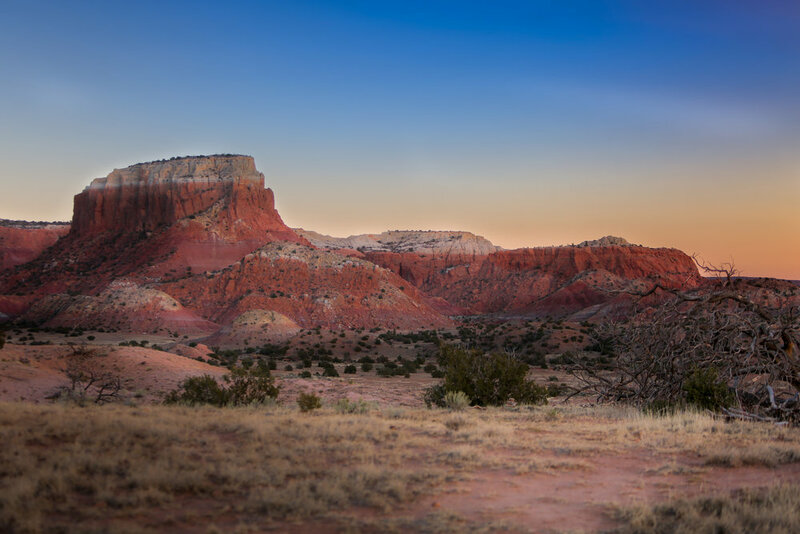 After dinner near Ghost Ranch, I asked if we could turn around and drive back for golden hour. I am so glad we did. I was able to grab these images with enough color detail to hand paint in the vibrancy we saw in person. So gorgeous!